Brown Bear's Big Sweater written by David Bedford and illustrated by Caroline Pedler is the perfect book for brothers; because it's about two brothers! 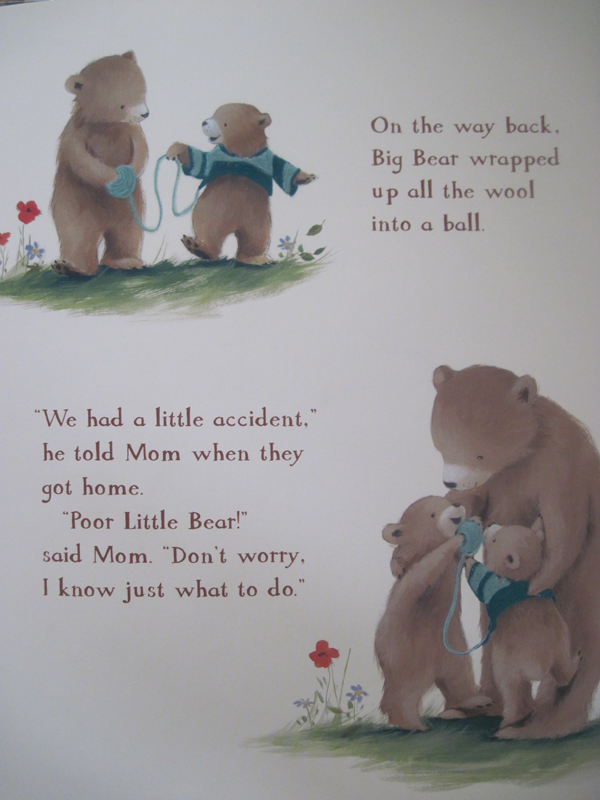 In the story there is a big brother and a little brother (we totally relate). Big Brother has a favorite sweater that his mother made him. 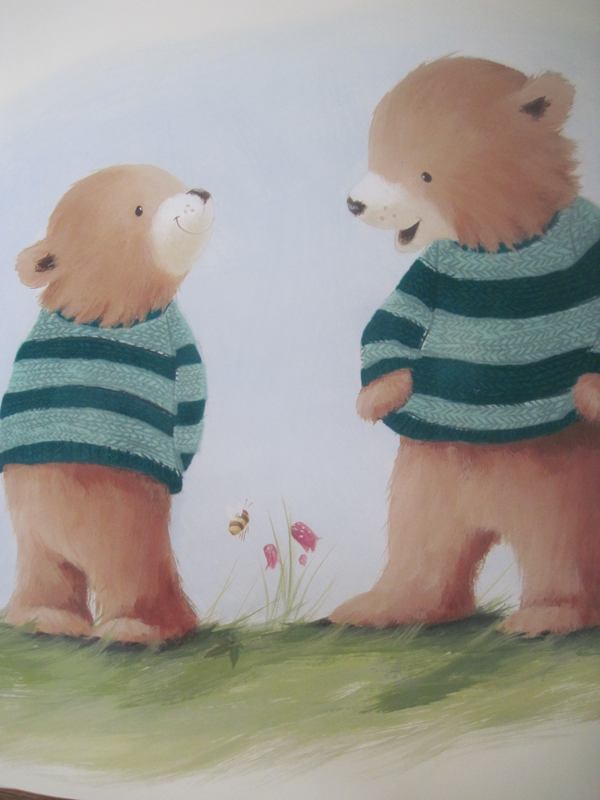 One day Mom has to tell Big Brother that his sweater is just too small and it's time to give it to his brother Little Bear. 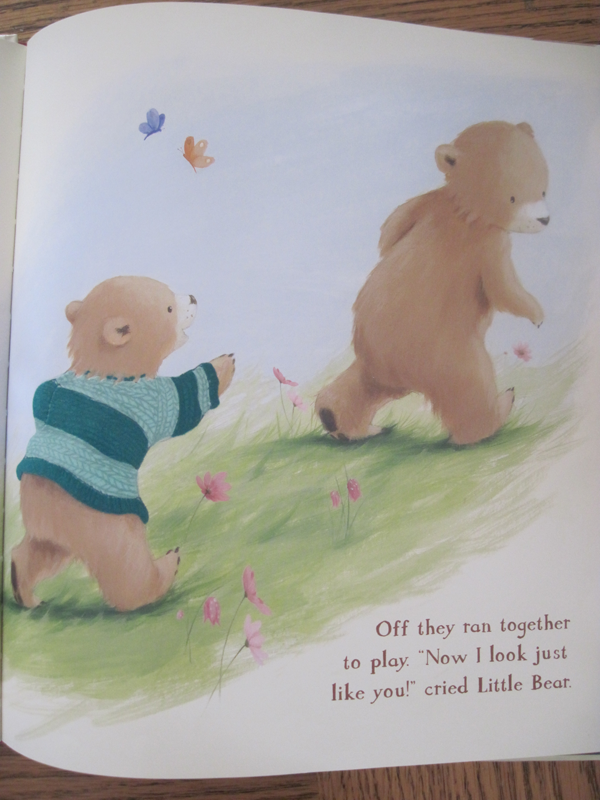 They run off to play and Big Bear is a little upset that he has to give his sweater away. As they are playing Little Bear tries to do everything his brother does, but ends up creating problem after problem. This aggravates his older brother and he speaks harshly with Little Bear, causing him to run away. 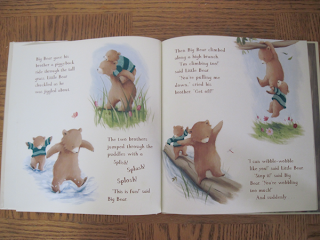 After some time to cool down, Big Bear decides to go find his little brother who has gotten himself lost. In order to find his brother he must follow the thread of the slowly unwinding favorite sweater. They make amends and head for home, bringing the ball of yarn back to Mom. Mom quickly comes up with the perfect solution. 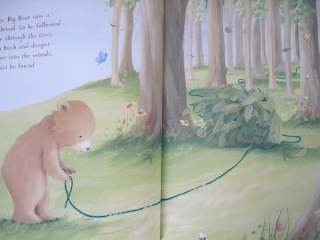 While the bears are sleeping she gets more yarn and makes them matching sweaters! The best part about this book? The yarn and the sweaters are textured! They have a smooth velvety feel that makes it really fun for kiddos to trace the fuzzy yarn and find where Little Bear has gone off to.